Healthy soil, just like healthy people, requires a balanced combination of elements. Each of those elements has a key role in the various processes of your plant. For example, iron serves as the ignition for the plants to produce chlorophyll and is crucial for photosynthesis. An iron deficiency can cause noticeable symptoms in a plant, such as when the leaves turn yellow. Soil scientist Steve Andrews sums it up well. He says, never treat your soil like dirt. Dirt, according to him, is that stuff in your vacuum cleaner bag, on the bottom of your feet, your shoes, the dog, or even the stuff your nosy neighbor likes to dig up on you. Soil, on the other hand, is a living entity, teeming with microorganisms, organic materials, and nutrients, he notes. For a successful garden, the soil must be nurtured just like one’s body needs nurturing. Ensure your soil gets the air and water it needs. Loosening up your soil in order to create pathways for water, air and plant roots is important, however, Andrews suggests using a broad fork to loosen it up, or an aerator which will improve water flow without significantly impacting the organisms in the soil, or its structure. Remember that less is more. Avoid working with your soil more than you have to. Every time you dig it up or turn it, that damages the soil’s structure and disturbs the microorganisms in it. Don’t pull your plants at the end of the season. Instead, you should cut them off at ground level and allow the roots to remain in the ground so that they’ll decay naturally, which feeds the soil and improves the tilth. Don’t leave the soil bare. By leaving your soil bare, it’s like you laying on the ground and allowing the sun to beat down on you day after day. Cover up the soil using leaves, cardboard, an organic mulch of wood chips or newspaper, or grow a cover up in unused garden beds to keep the soil covered. Use compost to fortify the soil. Compost will help provide a continuous supply of food to the soil. You can add it a little at a time throughout the year, or add large amounts a few times each year. Feeding organic matter to the soil. Your soil must be fed with organic matter in order to stay in good health and support growing plants. There are a number of ways to do this, such as adding organic material by growing a cover crop like legumes which help to fix nitrogen in the soil, meaning you won’t have to add nitrogen fertilizer, the plants can be composted in a compost pile or right in the bed. Know what’s in your soil. The more you know about soil, the healthier your plants will be; you’ll know what nutrients need replenishing and you’ll protect your crops from bugs and disease. Test it professionally to determine what nutrients you have, and which might be missing. 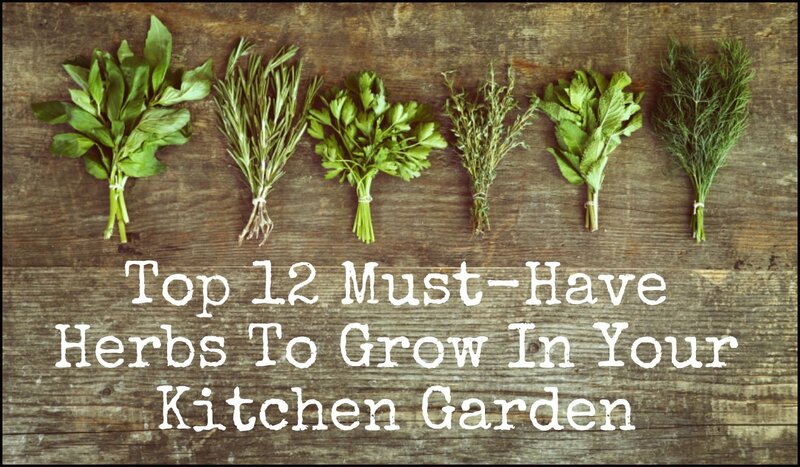 It can also help you decide which plants to grow – for example, if it contains a good supply of nitrogen, it may be ideal for tomatoes, but perhaps it’s not enough for growing something like corn, which needs a large amount. Once you’ve learned the truth about the health of your soil, if it’s not the best news, it’s time to consider what to feed it to make it healthy again. As we noted, to feed it, it’s important to add organic matter to the soil such as compost, chopped leaves, manure, cover crops, straw or grass clippings from a non-chemical treated lawn. There are also a number of rather unusual things that are known to improve the health of soil, including these. While you’d never want to pour out leftover liquid coffee onto your soil or plants due to its acidity, coffee grounds aren’t acidic and are outstanding for raising the nitrogen level in the soil, which is why so many gardeners have been using it for many years now. The grounds contain a large amount of nitrogen and can help your plants grow faster, whether it’s tomatoes or grass. They also contain potassium and phosphorus, which means the grounds offer all three of the essential ingredients for fertilizer. So this is certainly not an old wive’s tail. Plus, not only does it help feed your plants the nutrients it needs, it encourages beneficial microorganisms so that earthworms will be attracted to your soil. While you can use your own leftover coffee grounds, if you don’t drink coffee, or not enough to create the amount you need, you may be able to get large buckets of used grounds at a coffee shop. There are a number of ways you can use tea to improve the health of your soil, aerated compost tea is one of them. According to the book Toolbox for Sustainable Living, actively aerated compost tea is a “water-based oxygen rich culture containing large populations of beneficial aerobic bacteria, nematodes, fungi, and protozoa, which can be used to bioremediate toxins.” It’s filled with tiny microorganisms that make the soil fertile and healthy – there’s really nothing better for it than these busy little bugs. While compost is pricey when purchased at a garden store, it’s fairly easy to make yourself right at home. You’ll need to save your used tea bags, and make sure they’re made from paper, silk or muslin as bags made up of polypropylene won’t decompose. You can still use them, but you’d have to throw out the actual bag and save the damp tea leaves. Not only can you compost tea bags as fertilizer in the compost bin, but you can dig loose leaf teas and compostable tea bags around your plants. Using tea bags in compost adds that nitrogen-rich component to the compost, balancing the carbon-rich materials. It will not only nourish your plants as the tea bags decompose, but it will help to repress weeds as well as aiding water retention. You can also fill up a small spray bottle with brewed tea (be sure that no milk or sugar has been added) and use it to water your seedlings. The plants love the tannic acid in it, which makes them stronger and healthier. We love bananas, which means for most of us, we end up with lots of banana peels. These are great for putting to use in your garden soil as they make one of the best fertilizers around, as they’re high in calcium, phosphorus, and potassium, as well as a host of other minerals, that are essential to the soil’s health. There are lots of ways to use those peels too. For example, you can chop them up into about one-quarter inch pieces, which triggers the composting process and releases some of the beneficial vitamins and minerals in them. Then, add them directly to the soil, burying them anywhere from just beneath the surface, up to four inches down. You can also grind up the peels, dry them and add them to fertilizer, or simply add whole peels to the soil when planting. That helps provide a nutritious kick to seeds at the start of their lives, which translates into healthier plants. While this one definitely sounds weird, human urine is nitrogen-rich, which can help ensure lush foliage growth – and, as organic gardeners shouldn’t waste any of nature’s bounty, why not? Urine is best for using on grassy plants like corn and greens. You don’t want to just go outside and pee on them though, as it could scorch your plants. The best way to do it is to save your urine in a container and dilute it with ten times the amount of water before applying it around the root zone. If you’re using it on seedlings or especially tender plants, dilute it even more. Yep, this is what you think it is: human waste. And while it’s definitely gross, many organic gardeners are using it for its valuable soil nutrients. This is actually a rather complicated process, however, so it will take quite a bit of research if you want to consider utilizing it. It also comes with some degree of risk that is important to be mitigated and well managed. If you really want to try it, the Humanure Handbook is a detailed instruction manual that’s available for free. Don’t worry, humanure is about as gross as it gets. Using the water from boiling eggs may be unusual, but at least it isn’t disgusting. All you need to do is reserve the water used after boiling eggs – when the eggs boil, calcium leaches into the water, making excellent feed for your plants. Make sure you let it cool completely before using. You can make good use of the shells too, as they’re also loaded with calcium. Placing crushed eggshells in soil that’s around your tomato plants can help prevent blossom-end rot. Sprinkle them around the base of plants to help keep those pesky snails and slugs away, and add them to your compost bin, as their lime content helps to reduce acidity. If you happen to live in a coastal area where there are lots of oysters, you can crush the shells to make a slow-release fertilizer to keep the soil healthy. Just use a rolling pin to crush them up, making the pieces as small as possible. They contain calcium carbonate which helps make the soil more alkaline, so you’ll want to use it around plants that thrive in alkaline soil. Research has found that when water containing aspirin was sprayed onto seeds sown directly in the ground, there was 100 percent seed germination. Beds that didn’t receive it experienced spotty germination. To use it, simply add one-and-one-half aspirins to two gallons of water. Pour it into a spray bottle and then spray your plants every three weeks. It will help strengthen the immune system of your plants so that they can fight off disease. Salicylic acid is something that occurs naturally in plants but in very low amounts. That’s the same substance used to make aspirin, which may be why it not only helps to boost the immune system, but it can stimulate flowering. Depending on your school of thought, this one may be almost as gross as urine or other human waste, but it actually does make quite a bit of sense, as fish are rich in nutrients that plants love. You can grind up fish parts and make your own fertilizer, which is best accomplished by using a stick blender or hand grinder and not your kitchen blender for obvious reasons and then just work it into your soil. Another option is to bury chunks of fish at the root of your plants – if you do this, just be sure to bury it very deeply as wildlife or dogs are likely to be very curious about that smell and could dig up your garden. Like many others who live in rural areas, you may have a burn pile where you dispose of things like old trimmed branches, storm debris and so on. While you don’t want to put it in your compost pile, it can be used in your garden soil as it has a high alkaline content as well as trace amounts of potassium and calcium to help encourage blooms. If you have acidic soil, you can sprinkle the ashes around plants that thrive in alkaline soil, such as lilac, roses, and hydrangea.